Arayot Is Putting on Quite a Show! We had an amazingly active and exciting first few days, combined with sports, swim, and ketsev (rhythm) practice. 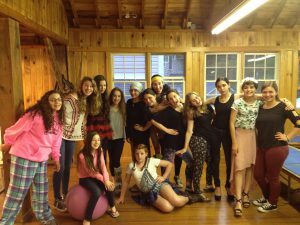 On Thursday, the banim (boys) and banot (girls) split for our peulat erev (evening activity): the girls did Erev Project Runway (fashion show night), while the banim engaged in “Erev Groutfit” (grey outfit night). What a GRAYt way to have fun last week! Finally, the rain stopped on Friday, but boy was it hotter than the chicken noodle soup! Because of the heat, the banim and banot joined together for some fun slip n’ slide time before welcoming in Shabbat together. 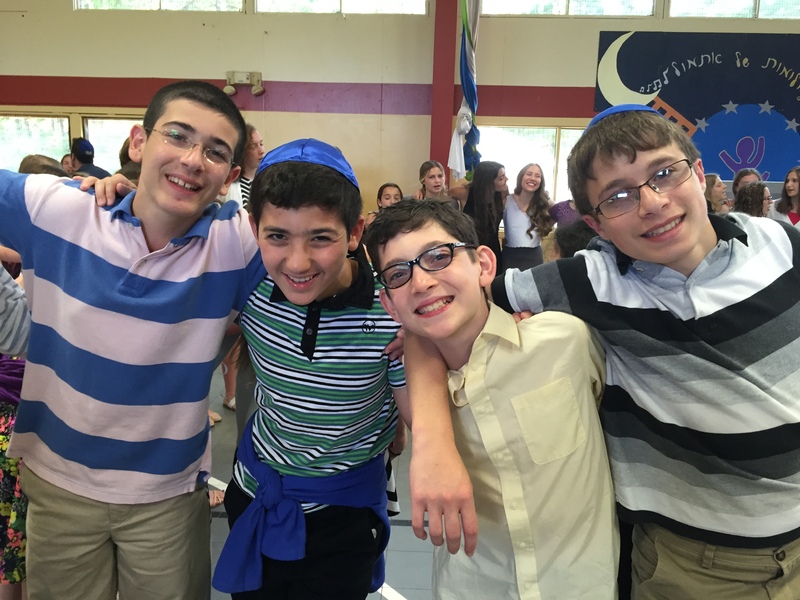 They continued to relax and play throughout Shabbat. The banim also gave a sneak peek performance of their ketsev dance and stomp routine that received endless ooo’s and ahh’s before dancing after havdallah with the rest of camp . Sunday was the 17th of Tammuz, a fast day which marks when the Romans breached the walls of Jerusalem before destroying the Temple. 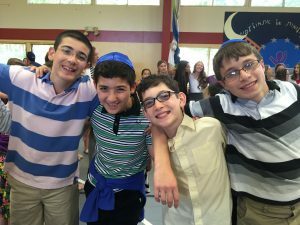 Over 20 of the chanichim (campers) in Arayot were able to observe the full fast, while the rest were able to go about a normal day of camp with food. At the end of the day, the entire aydah (unit) engaged in a wonderfully-planned peulat chinuchi (educational activity) where the madrichim (counselors) ran stations simulating several disabilities to help the chanichim empathize with and understand how it feels to be a person with a disability. The chanichim were thoroughly engaged. After the fast ended, the fasters filled themselves up with garlic bread, pasta, and salmon, as well as some delicious cheesecake for dessert! Arayot will keep the ball rolling as they take on the Fourth of July celebrations today and, on Thursday, perform their ketsev pieces and reach new heights (literally) at Launch!